The FBI's main suspect, an African-American security guard named Gerald Wallace, had already admitted he was the one who called a Miami-area mosque to declare, "I'm gonna kill you," but investigators were still shocked by what they found on Wallace's phone during their interview with him two years ago. Wallace – a 35-year-old black man – had called the Ku Klux Klan over and over again because, he told investigators, "I do like what they're saying." "What is the part that you like about their message?" a detective from the City of Miami Gardens Police Department wanted to know. "What they say about Islam," Wallace insisted. "I hate [Muslims]." Wallace's "odd" case would be "comical" -- "like something out of a 'Chappelle's Show' skit" -- if it weren't so "troubling," a U.S. prosecutor later told a federal judge, alluding to the Comedy Central character Clayton Bigsby, a white supremacist who didn't realize he was African-American because he was blind. Wallace's embrace of the Ku Klux Klan, despite the group's notorious history of killing and targeting African-Americans, is an extreme example of just how potent Islamophobia has become inside the United States -- and around the world. The two most recent years of FBI statistics reveal the highest number of anti-Muslim assaults ever recorded in America -- a three-fold jump from a decade ago. In 2007, the FBI recorded 33 anti-Muslims assaults. In 2017, the FBI recorded 105 such assaults, and another 168 incidents targeting Muslims for practicing their religion. One of those additional incidents was Wallace's threat to the Islamic center in Miami Gardens. He ultimately pleaded guilty to obstructing the free exercise of his victims' religious beliefs, and he was sentenced to one year behind bars. He was released last year. ABC News' efforts to reach him were unsuccessful. 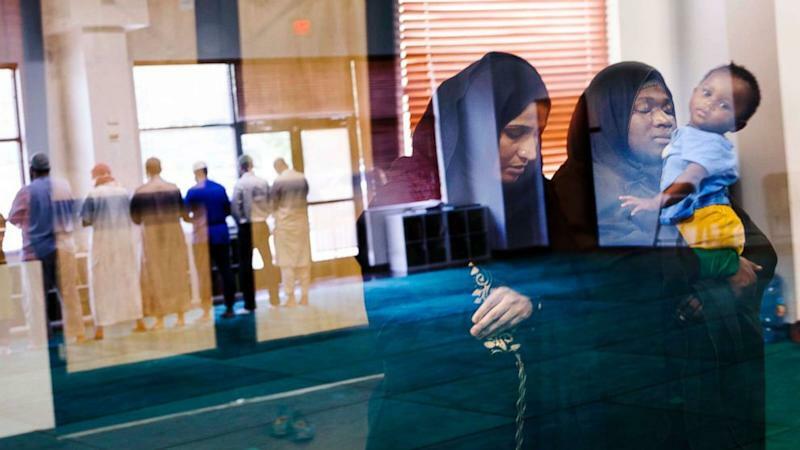 In the wake of Friday's massacre in New Zealand that left 50 Muslim worshipers dead, Americans are grappling with Islamophobia in their own communities and discussing how to stop it from metastasizing even more. 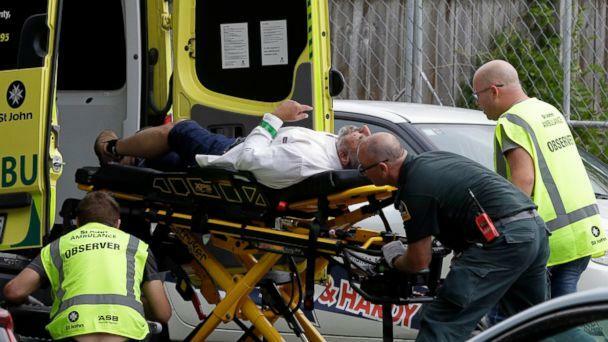 "It's absolutely necessary that we don't wait until we have horrific situations like [New Zealand] ... to pay attention to this issue," Dr. Abbas Barzeger, the research director at the Council on American-Islamic Relations, said at a press conference on Friday. Anti-Muslim assaults account for a small fraction of hate-based assaults reported to police each year, but Muslims overall account for an even smaller fraction of the total U.S. population, as reflected in findings from the FBI and Gallup Organization. Accordingly, Muslims are three times more likely to be assaulted for their religion than Jews, who themselves have increasingly become targets in recent years, peaking at 100 anti-Semitic assaults in 2015. Hate-inspired assaults also victimize Muslims at a rate twice as high as African-Americans, who suffer several hundred targeted assaults each year, an ABC News review of the FBI's 2017 statistics found. 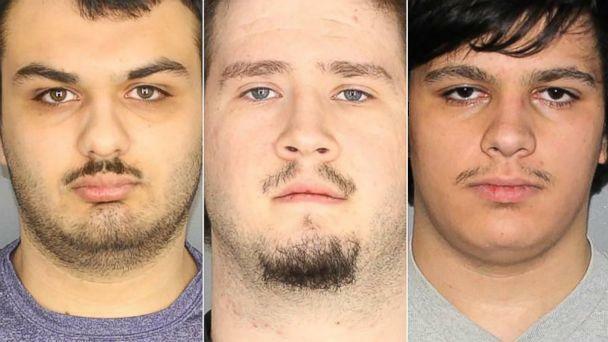 In January, police in upstate New York arrested four white teenagers for allegedly plotting to attack a largely Muslim community nicknamed "Islamberg." The teenagers believed Muslims "were automatically terrorists," and in the teenagers' homes police found 22 firearms, ammunition and at least two homemade bombs, according to court documents. "Their collective intention was clear: kill as many members of the 'Islamberg' community as possible," the court documents said. The teenagers were charged with conspiracy-related offenses and have pleaded not guilty. Also in January, two white men from Illinois pleaded guilty to federal weapons charges after detonating a bomb at a mosque in Bloomington, Minnesota. No one was injured in the incident, but the men wanted to let Muslims know, "You're not welcome here," one of the men, 29-year-old Michael McWhorter, later told authorities, according to charging documents. A third man charged in the case is awaiting trial. Former counterterrorism officials who've served during both Democrat and Republican administrations believe the rise in hate stems from the rise of social media, while others warn more traditional media and even politicians also play a role. In his interview with police two years ago, Wallace said he started to mistrust Muslims and believe "most of them are terrorists" after the Sept. 11, 2001, attacks. Then, more recently, he'd "seen some people" on Facebook and elsewhere online who share his anti-Muslim views, and he'd posted his own hate-filled messages about Muslims on YouTube. During the 2017 interview, Wallace said he decided to threaten worshipers at the Miami-area mosque after watching a morning TV program that made him "angry" and "fed up" with Muslims. Platforms like Facebook, YouTube and Twitter have "few barriers to entry" and few "standards for exit," former Homeland Security Secretary Jeh Johnson told ABC News on Sunday. Islamophobic rhetoric has even crept into "mainstream" radio programs and TV shows, Barzeger said. Just last week, Fox News Channel host Judge Jeanine Pirro was widely condemned for questioning on air the patriotism of Rep. Ilhan Omar, a Democratic lawmaker who is a Muslim-American woman. But as Muslim advocacy groups see it, political leaders inside the United States, including President Donald Trump, share at least some blame for what CAIR's executive director called "the growing menace of Islamophobia and hate." "We hold them accountable because their words matter," the executive director, Nihad Awad, said Friday. "Their policies matter ... [and] they impact the lives of innocent people." When Fox News ended up suspending Pirro's show on Saturday — one day after the New Zealand attacks — Trump called on the network to "bring back" Pirro and "stop working soooo hard on being politically correct," as he tweeted Sunday. 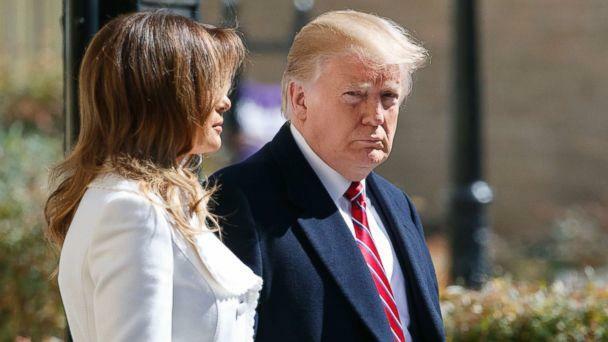 The White House has denied responsibility for any rise in hate, and Trump said Friday he doesn't see white nationalism as a growing threat around the world. "I think it's a small group of people that have very, very serious problems," Trump said. Lawmakers, advocacy groups and others have proposed an array of ways to fight Islamophobia and other forms of hate. Former secretary Johnson said that while robust law enforcement efforts and community partnerships are important, internet providers and online platforms need to start engaging in "self-regulation." "It's incumbent upon [them] to be vigilant when it comes to hate speech content that violates their very own terms of service," he said. Barzeger, meanwhile, said members of Congress must do more than simply speak out against hate. "Condemning rhetoric is [just more] rhetoric," Barzeger said. "It has to be backed up by action." Specifically, lawmakers must pass legislation requiring state and local law enforcement agencies to report hate crime-related data to the federal government, according to Barzeger. Currently, FBI statistics are mostly compiled from information volunteered by state and local agencies. More than a year ago, an academic research article posted on a U.S. government website suggested using another "big" tool to combat Islamophobia: America's schools. "Given the current spread of misinformation and fear, it is vital that teachers from preschool to college address the issue of Islamophobia" and provide "accurate information about the history and nature of Islam," said the 2017 article, archived by the Department of Education. "Unless we succeed in educating students during their school years, it will be very difficult to change the perceptions of negativity about any particular religion later in adulthood," the article warned.